The best website builders on the market have made creating a website a quick, affordable and easy process for individuals and businesses alike. Many of these website builders offer essentially the same service: a number of website templates to choose from, which you can then customize with a drag-and-drop editor without any prior coding knowledge. With all of the top builders providing essentially the same service at comparable prices, how do you decide which one is best for your business? 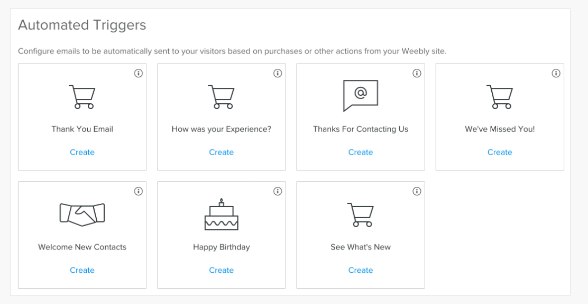 Weebly is hoping to set itself apart with a new suite of marketing automation features that integrate with its websites to help take businesses to the next level. 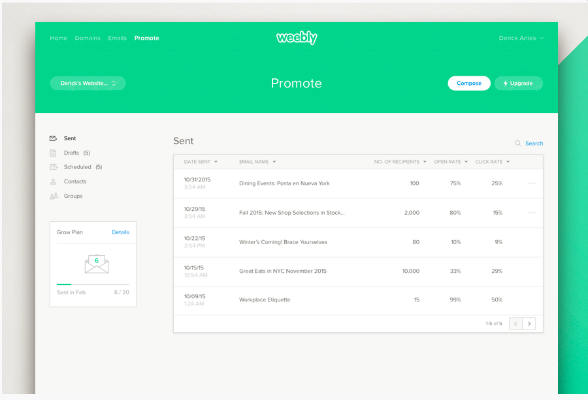 Weebly Promote is a new email marketing service that allows businesses to build an email list, create email campaigns, see statistics on their campaigns, and more. Let's take a look at why Weebly Promote is important for businesses and what features it includes. Building a modern-looking website is an important step for any business, but it is only the beginning. One of the most effective ways to promote the website and reach customers is through email marketing. Email marketing allows you to take your message directly to your customers, rather than waiting for them to come to you. You can use it to send a weekly newsletter, share updates about important developments or tell them about a new product that you are introducing. Email marketing provides an unparalleled return on investment and it is 3 times more likely to lead to a sale than social media marketing. It has been proven to get results, and, as we’ll see below, Weebly Promote has tools to help make it much quicker and easier. 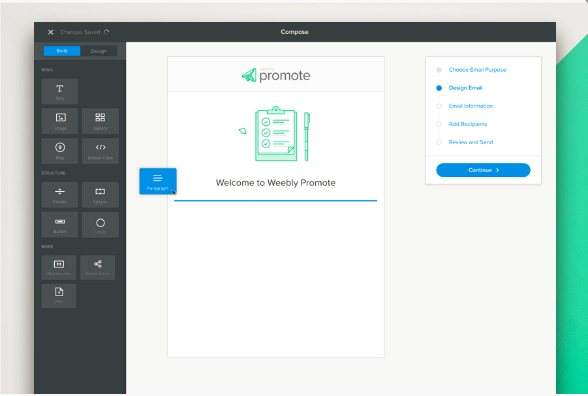 Weebly Promote allows users to set up automations, meaning that an email will be sent out to a customer or group of customers automatically based on their behavior. This can be an automatic email, wishing them a Happy Birthday and offering them a special deal, or a customer welcome email for anyone new who has signed up to your mailing list. In addition, you can have emails automatically sent to customers who have just made a purchase to thank them and suggest other products they may be interested in. Conversely, you can set up a timeframe for a reminder email. This means that if a customer hasn't visited your site or made a purchase in a while, you can send them a reminder email to let them know you have great deals that they're missing out on. If you'd like to get some insight into what your customers think about your service, you can send out a survey automatically in order to glean their thoughts. Even if such emails only serve to increase sales by a few percentage points, the time investment is minimal, and such emails help grow your brand and establish you as a serious business. Weebly has long been appreciated as having one of the easiest to use, most intuitive drag-and-drop editors for customizing websites. Weebly Promote uses the same editor to create emails. Much like with its website building tool, users have a wide variety of pre-designed email templates to choose from, which they can then easily customize with the drag-and-drop editor. Templates are available for many types of emails, such as newsletters, events, product announcements and promotions. You can save templates you customize for future use in new campaigns. To ensure that your email looks exactly as you intend, you can preview what it will look like on both desktop computers and mobile devices. You can add images, and change fonts and colors quite easily with the editor. There is no need for coding knowledge or design experience in order to send professional-looking emails. Getting your email campaigns out to as many of the right people as possible is a goal that Weebly Promote helps you achieve with the help of several tools. One of the first steps you will want to take to get started is to upload your current list of contacts to Weebly's contacts section. You can sync with a previous email marketing service you used, import from a file on your computer or your Gmail account, or copy and paste emails into the section. If you already have your contacts broken up into groups, Weebly contacts can maintain those groups. If not, you can create new segments so that you can send campaigns to a specific sector of your audience. For example, segment types could be people who already purchased items from your store, people who have signed up to a membership group on your site, or people from a certain geographic region. Weebly Promote also features a Lead Capture tool that helps you sign up new customers to your email list. You can create either a popup form or a smart bar form to display on your website. 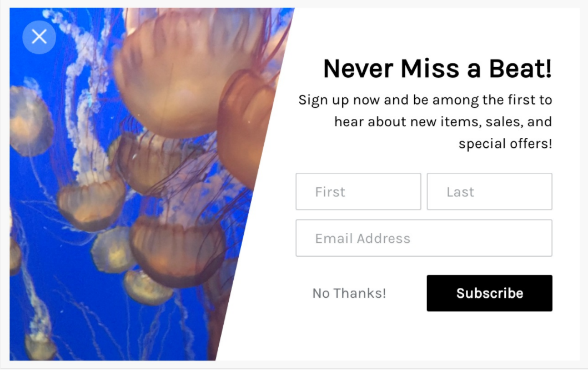 The popup form works as the name suggests, popping on to the visitors screen over the text they're reading, whereas the Smart Bar form is a more compact signup form that remains anchored on the top of your website like a banner. You can change the text, fonts, colors and style of the forms. You can automatically set it up so that those filling out the form will automatically be synced to a particular contact group. There are also options of when to display the form, whether it be immediately, or at a delay, on all or only some visits, and whether you want it to show up on desktop and mobile. Weebly Promote features a very basic dashboard that gives users information on how their email marketing campaigns are performing. Weebly displays the number of people who received a particular email you sent to their inbox, how many of them opened the message and how many clicked on a link within the email. These stats can give you a good indication of how current your list is, how engaging your subject is, and if the name on the "From" address of your emails is well-known and trustworthy. Weebly Promote's stats and reporting are minimal, however they do provide users with the most essential information they will need about the success of their campaigns. Understanding how your campaigns are faring, even in such a basic way, can be key to improving your performance. Weebly Promote has a free trial that allows you to send 2 emails to 500 recipients each. This is a risk-free opportunity to try the product so that you can understand how easy it is to use and how much it can benefit your business. There are also 3 paid plans to choose from, depending on your needs. The Build plan, which is $8 per month, allows you to send five emails monthly to a maximum of 500 recipients each time. It also includes the Lead Capture feature. The Grow plan is $25 a month, and it allows you to send 20 emails per month to a maximum of 2,500 people each time. 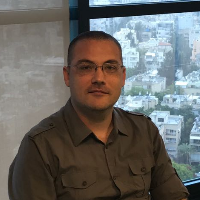 It adds in extra features, such as 5 automated emails per month, segmentation for targeting specific contacts and the ability to schedule emails for a specific time and date. The Accelerate plan costs $75 a month, and includes all of the features of the lesser plans, plus unlimited email campaigns to as many as 250,000 recipients a month, unlimited automated emails, and VIP support. In the world of website builders there is nothing quite like Weebly Promote. Other website builders have some basic email marketing functions, but nothing as comprehensive as Weebly’s standalone email marketing service that also integrates easily with Weebly-built websites. There are, however, a full slate of email marketing platforms that can integrate with sites made with other website builders. These email marketing services are designed to carry out more advanced campaigns and they offer more advanced tools and analytics. Weebly Promote is a simpler option for those who want to grow their business with email marketing without investing too much time or money. Learn more about Weebly and its website builder competitors by reading our expert review.